Minnesota | Paragon Document Research, Inc. The state of Minnesota requires business registered with the Secretary of State’s Office to file an annual renewal sometime during the calendar year. This form can be filed at any time, but will result in the dissolution/termination of the business entity if not filed by December 31. The following type of businesses are listed as required to file a renewal annually, domestic and foreign Business Corporations, Limited Liability Corporations, Limited Partnerships, Limited Liability Partnerships, Cooperatives, Non-Profits Corporations and Assumed Names*. *All assumed names are required to file an annual renewal once every calendar year after the time of expiration of their ten year term (effective in 2011). The annual renewal will be filed for the calendar year in which the current expiration date is listed. 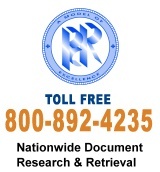 If you need help with your filing, give us a call today at 800-892-4235. Don’t risk forgetting to file as the days pass by and the deadline draws closer. Contact us at 800-892-4235 for any additional forms not listed.